Although Millennials were the first generation to become acquainted with the concept of a digital world, their experience is being eclipsed by that of Generation Z or the “iGen”. These children were born into a fully connected, wireless world with touch screens in their hands at an early age. As a result, teachers, parents and cultural institutions need to think about new and innovative ways to connect iGen students with the arts, humanities and culture. At GuidiGO we believe our storytelling and gaming platform can play a key role in bridging the gap between this new digital generation and cultural institutions. Teamwork exercises and co-creation bolster student participation and performance while promoting group work focused on collective goals. When students are able to closely engage with cultural sites, there are so many exciting learning opportunities available to them. 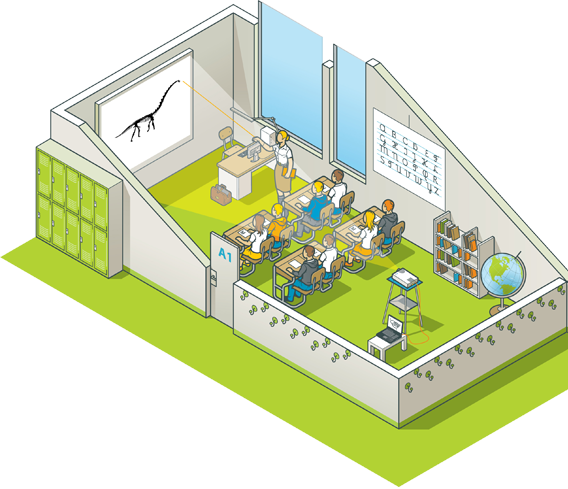 Take your class on an inspiring adventure by co-creating a game tour using GuidiGO Studio’s collaborative features. The class can research what is needed to create the content using text, audio, photos, puzzles, quizzes, and augmented reality. In the time it takes to complete one project, students will become “experts” on their subject using the guidelines you have established. 2. 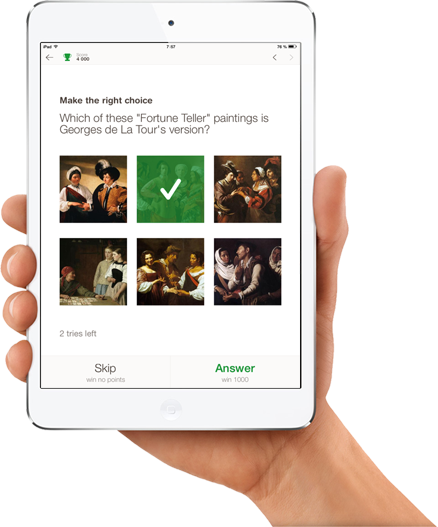 Download the free GuidiGO app on school, student, or museum devices. 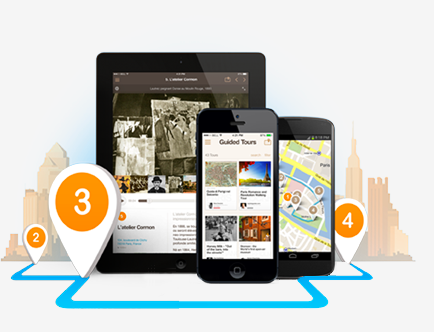 Once students have completed their work, just press “Publish” and you’re ready to enjoy the tour together instantly using the free GuidiGO app on any smartphone or tablet (Android and iOS). You can then visit the cultural site so that students can share the tour with classmates, and even go back later with friends and family. 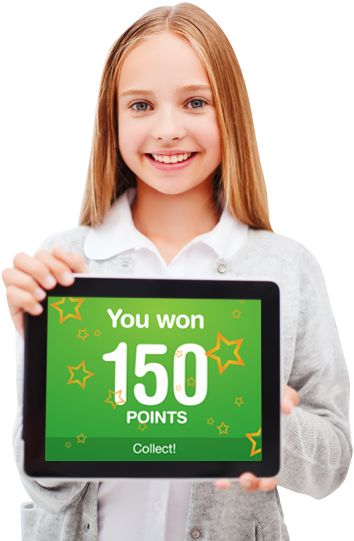 If you think your students’ work has academic value and may be of interest to other teachers, students or families, you can make it public on the GuidiGO app so that anyone can enjoy it! As a teacher you can also build your own tours and make them available for free or for a small fee. Apply to our free Partner Program here. GuidiGO is a mobile digital storytelling platform that utilizes a suite of user-friendly technologies to engage, excite and inspire audiences. The options are endless—create audio-visual guides, develop treasure hunts with riddles and augmented reality, or anything in between. With an intuitive interface and instinctive features, there is no training required. Our platform makes it easy to create compelling visitor experiences using minimal resources, and as a result, enables institutions to host a greater and wider audience. 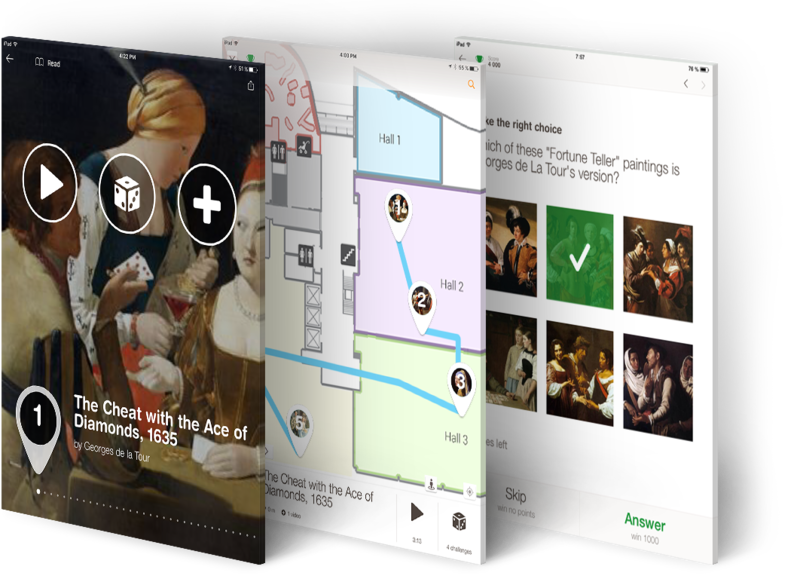 Students can access tours on their own devices, or they can borrow devices provided by schools or cultural institutions. By using existing audio-visual content, GuidiGO allows you to build an extensive library of educational tours and make them available on demand. Teachers and students from around the world can access your tours by simply opening them in their web browser. GuidiGO web app is a great way to embark on virtual field trips, allowing anyone to explore cultural sites regardless of their geographic, economic, or physical limitations. Click here to see an example. 2. Just share the web address of your tours! Are you eligible for our free Partner Program? Tell us more about yourself and the content you create, and we would be happy to discuss our profit sharing program with you.